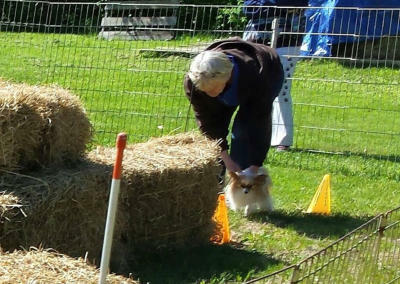 Other Performance Events This page is where you will find listing of other classes which may be of interest to you and your dog. Since the world of canine work and performance is vast and varied, we hope to offer more topics in training in order to expand both our interests and that of our dogs. Instructor Noel Palmer, BHA Judge, Dogs need no prior experience, don't need to have any obedience or nose work experience. As long as the dog has a nose, they can participate! We are hoping to have a Fun Test in the spring and then a Barn Hunt Trial at our facility next summer. 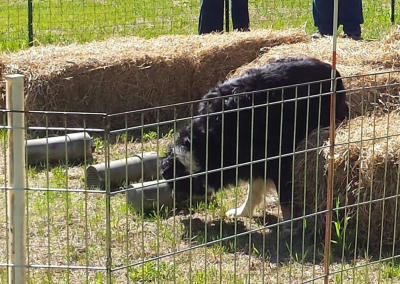 Description: These classes will introduce and advance both Barn Hunt enthusiasts and beginners by focusing on enhancing your dog's natural vermin hunting instinct, practicing required obstacles, and using directive techniques to help your dog succeed. We will also teach how to work volunteer work stations needed to run successful Barn Hunt Association Licensed trials. The first class will include an instinct test and the rest of the classes will introduce novice and open course. Please read rules and regulation for Barn Hunts at their website: www.barnhunt.com before starting the class. $10 for two runs. We will reschedule if it rains.